You'll read that the causes of migraine headaches are unknown. We disagree. 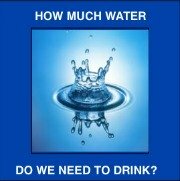 Let us show you why it is, in many cases, chronic and unintentional dehydration. Although there may be an environmental factors and genetics may play a part, these seem to be factors and not the cause. Interestingly, where there are headaches, there is also depression, anxiety, bipolar disorders. Our research has found that depressions are easily eliminated with the water cures protocols. Biological causes of headaches are also included as possible causes. 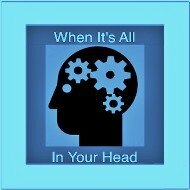 Whether drinking too much sugar laden soda too fast or inhaling too much chemical off gassing, the headache can in most cases be treated with the water cures protocols. An obvious cause of headaches in brain cancer. 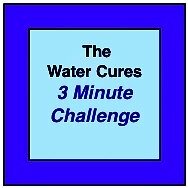 Again, water cures and other treatments that shrink or even end the cancer have been found to eliminate the headache pain. The common triggers of tension headaches include stress, hunger and fatigue. Migraines in women are often associated with menstruation and hormonal influences. The hormonal factors can be influenced by menarche, oral contraceptives, pregnancy and menopause. Think of this logically. When the female body is overwhelmed with hormones and or there is slight anemia, the body can easily normalize when properly rehydrated. In a state of chronic dehydration, the hormones are concentrated. 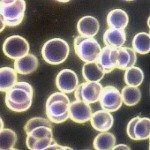 In the slight anemia resulting from menstruation, again there is a release of hormones resulting in a concentration of the hormones. The water cures protocol easily resolves headaches. Once the body is properly hydrated, the concentration of hormones is reduced and the cause of the headache is eliminated. Note: The few male migraine headache sufferers we have worked with have not provided enough data to identify a class of causes. 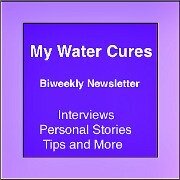 The Water cures protocol has worked on all who used it to date. In looking at what causes headaches, food enters as a cause. In particular, two food based chemicals are suspect. 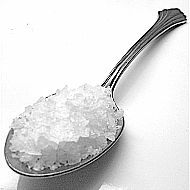 Tyramine and MSG or mono-sodium glutamate are suspected although there is little evidence to support this. Tyramine is readily available in plants and animals. When foods are fermented or start to decay, there is an increase of tyramine. Here is a list of foods with tyrosine, the amino acid that tyramine comes from. Foods that easily spoil including pickled, aged smoked fermented or marinated meats. If you have migraine headaches, these foods may be the cause. There is little scientific evidence that tyrosine causes migraines. The problem is that it is nearly impossible to conduct a study to link tyrosine to migraines. Yet there is a potential link with these foods and migraines. 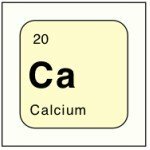 Although you will read on other sites that there is little science, you need to ask a question, why is this something first year nursing students are taught? A second cause of migraine headaches could be MSG. The water cures protocol also helps us to detoxify MSG from our bodies. The water cures can help with this too. What Causes Migraine Headaches to Go Away? In addition to the water cure protocol, there are other ways address the causes of migraine headaches. One is a simple acupressure technique that works on about 82% of those it is used on. For about 10% of those treated, it increases the pain and eight percent it provides no effect. You can learn about this on sites devoted to acupressure. As a nurse, I routinely use it on my patients, both in the hospital and in private practice. There is another option in a supplement. NAC or N-Acetylcysteine is used by some as an antidote to the side effects of MSG. NAC is used in hospitals as the antidote for acetaminophen overdose. It is also used for helping remove heavy metals, or detoxifying. One of the more significant uses is for the psychiatric condition known as Trich. 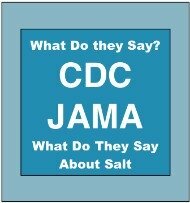 It is commonly found in respiratory drugs. For the rest of us, it is available over the counter. Ask your doctor or pharmacist if it is OK for you to use. Make sure you do not have a reason to avoid it because of per-existing conditions.